The Australian Curriculum is available online through the ACARA Website. Click on the 'Curriculum' tab at the top, choose your learning area, then click on the 'Foundation to Year 10 Curriculum' tab. The Queensland Studies Authority has released Year Plans, Unit Overviews and Assessment Advice and Guidelines for each year level using the Australian Curriculum. Navigate by clicking the tabs at the top of the centre screen. ACWA has provided Year by Year views of Achievement Standards and a Scope and Sequence from Foundation to Year 10. Click on the Learning Area you require then click on downloads, scroll to the bottom of the page to access the resources. The School Curriculum and Standards Authority sets out what Schools in WA need to report and assess against. The website says "The Authority’s role is to provide quality curriculum, assessment and standards to enable all Western Australian students to become confident, creative learners and active, informed citizens who contribute positively to society. The Authority replaced the Curriculum Council in May 2012. It is an independent statutory authority that is directly responsible to the Minister for Education. It is administered by a board consisting of seven members appointed for their expertise in education and assessment. ."
Some schools and teachers have been working hard to create resources for the Australian Curriculum. Isn't it nice that they have decided to SHARE these for free!?!? 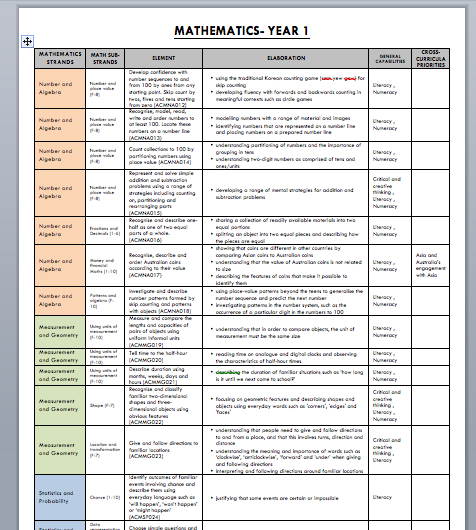 Ausssie Curriculum V1.2 Foundation to year 6 This site is a compilation of simple tables in word format for teachers and teams to plan with. This wiki shows more correlation between the capabilities, priorities and subjects. My Resources Resources I have made which I use in the classroom for Literacy, Numeracy, Thinking, Drama and Social Competence. They are uploadable, as are all documents. 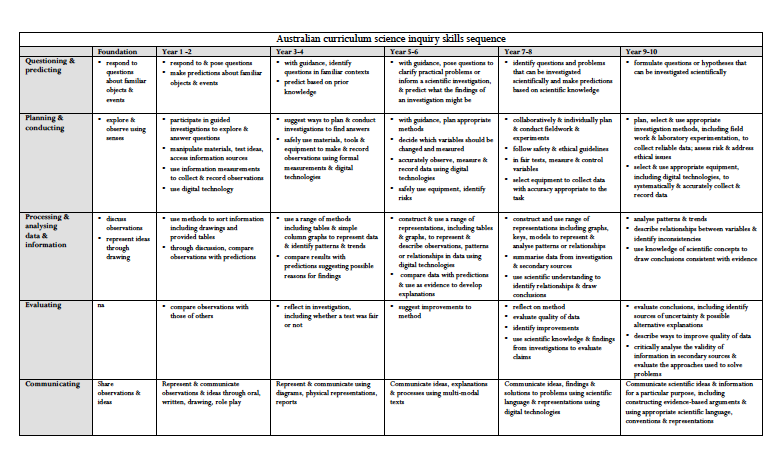 Australia Curriculum Academic Profiles for Years 5 - 8. 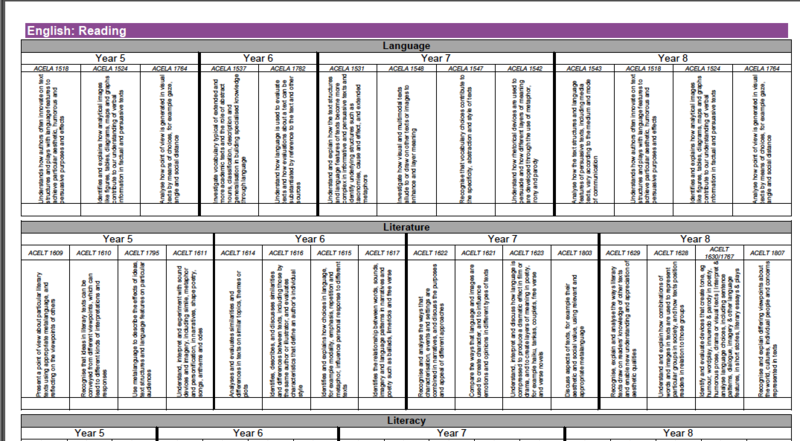 Trevor Hinchliffe (Perth Primary School Teacher) has developed some Academic Curriclum Profiles for Years 5-8. These PowerPoints are designed to assist CPLs in conducting investigations. They are examples ONLY but can be used and modified for your own purpose. Remember these are not exemplar examples but base examples merely as a point of reference for you! This is a tool for CPLs. This PPT will explain ways to investigate the Australian Curriculum via the Content, Student and Pedagogy elements. 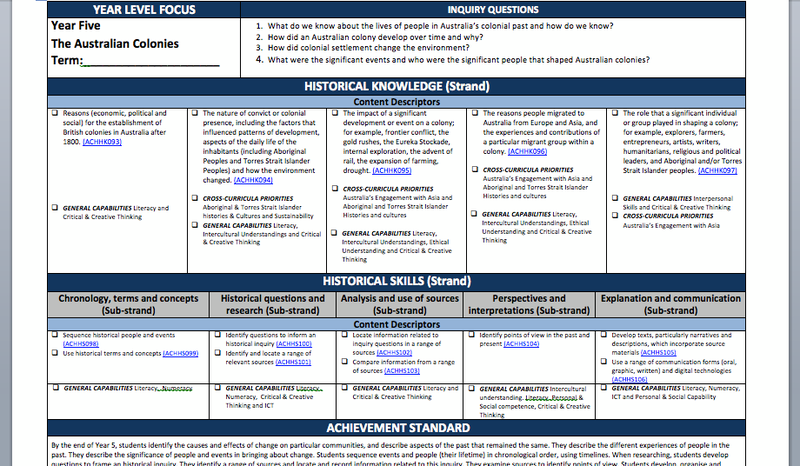 You can use this to guide your Curriculum investigation for almost the whole year! 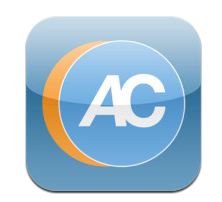 Did you know you can download the Australian Curriculum App to your iPhone or iPad? Visit the iTunes store - it's free! These are some examples of how a teacher has planned using the Australian Curriculum. As of January 2013, work is continuing between ACARA, AISWA, CEOWA & The Education Department of WA on Reporting and Assessment methods. On the Australian Curriculum website you will be able to access the 'Achievement Standards' for each of the mandated learning areas. The 'Achievement Standards' outline what students should know by the end of that specific year of schooling. The Australian Curriculum Western Australia website, has each of the learning Area Achievement Standards available as a download. Click here to access these. 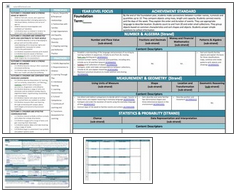 As of January 2013, ACARA has now released Work Sample Portfolios which can be found beneath the Achievement Standards on the ACARA Website (see image attached). The portfolios are available for Mathematics, English, Science and History. 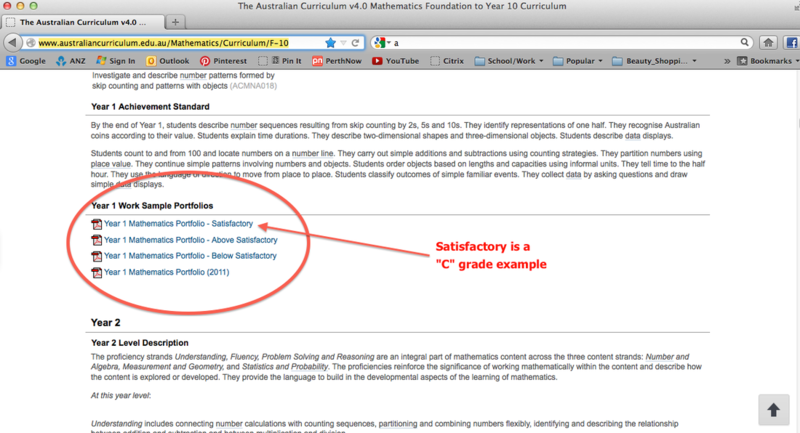 Please note that the "SATISFACTORY" Portfolio is an example of a C grade. 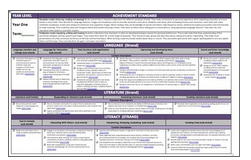 The "Achievement Standards" are statements which outline what a student should know by the end of that year of schooling for that particular subject area.